Note: We are currently accepting applications for seasonal outdoor volunteers, Conservatory docents, sustainability docents, Discovery volunteers, science education volunteers, and special events volunteers. Phipps is well-known for our beautiful gardens, seasonal flower shows, pioneering sustainability initiatives, informative educational programs and community outreach. None of our work, however, would be possible without the knowledge and dedication of our volunteers. 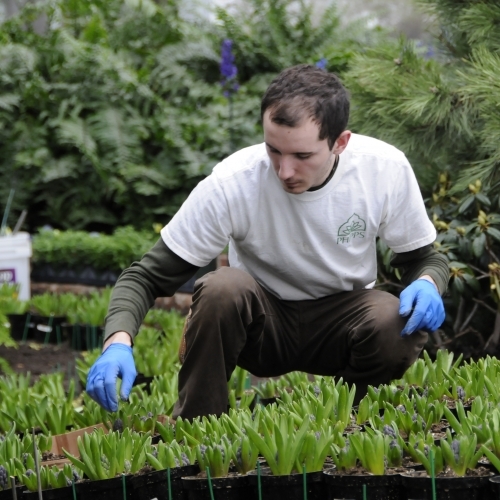 Volunteering at Phipps is a great way to meet other people with similar interests, while making important contributions to a unique local resource. Volunteers enable us to fulfill our mission by providing assistance in all of our many program areas. Ready to share your skills to help Phipps continue our tradition of excellence? Take the first step now by filling out our application. You can also request a hard copy by contacting dknorr@phipps.conservatory.org. To empower volunteers to contribute to the mission of Phipps while providing a rewarding and engaging experience in an environment where all contributions are valued and appreciated. Q: How do I become a volunteer at Phipps? A: The first step is to fill out an application. Because we strive to ensure that volunteers are placed in positions that best match their skills, interests and abilities, all accepted applicants are required to participate in an interview, orientation and placement meeting. Phipps’ volunteer application is available here. You can also request a hard copy by calling 412/622-6915, ext. 6958 or sending an email to vol@phipps.conservatory.org. Q: How often do I need to volunteer? A: A minimum of three hours per week at least two times a month, or approximately 80 hours a year. Q: Do I need to have any special skills or training? A: On the job training is provided for most positions. Docents are required to attend a multi-week training program, while Master Gardeners must complete an intensive 23-week training program. Q: Do I need to bring any tools or equipment? A: All volunteers are required to wear closed-toe shoes and are strongly encouraged to carry a reusable water bottle. Volunteers who work with our horticulture department should bring their own gloves. Other equipment and all tools are provided. Q: Where can I park while volunteering? A: Volunteers may park in Phipps’ staff parking lots during their shifts. Q: What opportunities do you have for groups? A: Occasionally, throughout the year and during special events, we are able to accommodate groups for a one-time volunteer experience. Please contact our volunteer coordinator to learn more. Teens ages 16 – 18 are invited to apply to become Summer Camp or Discovery Program Teen Volunteers! Volunteer shifts are flexible from June – August from 9 a.m. – noon or 1 – 4 p.m.
Download our application to get started! All applications are due by Wed., May 1, 2019. Educators: Download a flier to share this opportunity with your students. Applicants must be at least 16 years old before the application deadline in order to be considered. All teen volunteers are required to obtain background check clearances before serving as a volunteer at Phipps. 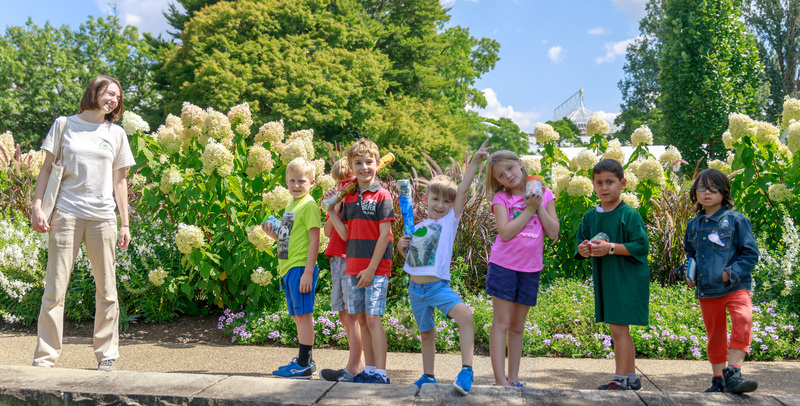 The application should be completed by the applicant, signed by a parent or legal guardian, and sent to dknorr@phipps.conservatory.org by Wed. May 1, 2019. Applications may be accepted after deadline if space permits. Conservatory docents lead guided tours for all ages and may be asked to emphasize certain areas of Phipps, such as Butterfly Forest or the Discovery Garden. These volunteers may also take 3-hour stationed docent shifts to greet and engage guests, answer questions, and point out special features. Requirements: Must enjoy interacting with the public and participate in a multi-week training program, which costs $65. Partial reimbursement of this program fee will be available upon completion of 50 volunteer hours within six months of training completion. Sustainability docents give tours highlighting Phipps' green buildings and landscapes — the Welcome Center, Tropical Forest Conservatory, Production Greenhouse, Special Events hall and the Center for Sustainable Landscapes — as well as our many sustainability initiatives and outreach programs. These volunteers may also take 3-hour stationed docent shifts to greet and engage guests and answer questions. Requirements: Must enjoy interacting with the public, have an interest in sustainability and green architecture, and participate in multi-week training program, which costs $35. Volunteers greet guests as they enter the Welcome Center and direct them to the gift shop, café, admissions and the Conservatory. They answer general questions about Phipps and the surrounding areas and engage visitors in conversations about sustainability, providing interesting green points to look out for while touring Phipps. Requirements: Must be outgoing and friendly, with an interest in both the history of Phipps and sustainability, plus be able to stand for up to three hours at a time. Production work is done under the guidance of Phipps staff and includes seeding, planting, potting, pruning and weeding plants in the greenhouses, plus other tasks. Requirements: Must be able to stand for longer periods of time, possess manual dexterity and tolerate warmer temperatures. Under the guidance of Phipps staff, volunteers help plant and maintain outdoor gardens and engage in tasks such as weeding, pruning, raking, watering, planting and mulching. Requirements: On the job training is provided but some gardening experience is helpful. Must be able to engage in physical activities, including stooping, kneeling, lifting and carrying objects of varying weights. 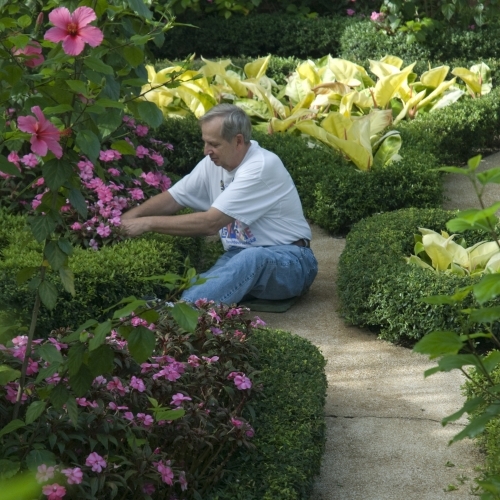 Under the guidance of Phipps staff, volunteers help maintain display areas, removing yellow leaves from plants and the floor, deadheading flowers, mulching and trimming, as well as pruning and planting as needed. Requirements: On the job training is provided but some gardening experience is helpful. Must be able to work amid dense plantings, bend over repeatedly, wield a wheelbarrow loaded with mulch, and engage in physical activities such as stooping, kneeling, lifting, and carrying objects of varying weights. 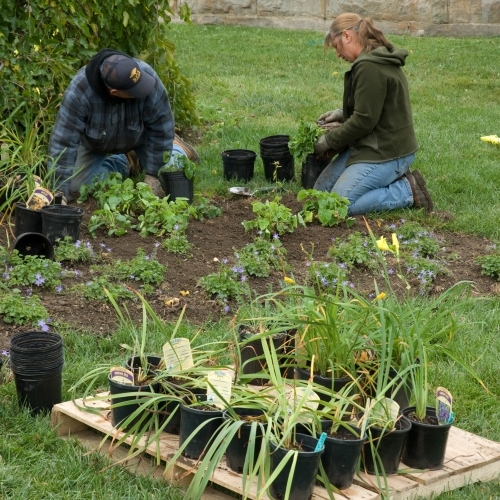 Interested parties may download the 2019 Master Gardener program application to begin the process. Meet the people who give their time to make Phipps possible in our series of volunteer profiles.